The Kathmandu city originally got its name from the public shelter located at the center of the city, Kasthamandap. A popular public shelter and a tourist landmark was lost in the major earthquake of 2015. Kasthamandap was a three-storied public shelter that included a shrine consecrated to Gorakshanath situated at Hanumandhoka, Kathmandu. The word Kasthamandap literally translates to ‘Wood Shelter’ in English. The landmark was a popular tourist site for ages, until it was destroyed by the earthquake. It is supposedly known to have been constructed out of a single Sal tree. It first served as a community center where devotees gathered for major religious and cultural ceremonies. Later, it was turned into a temple dedicated to Gorakhnath, a 13th-century ascetic who was subsequently linked to the then royal family. A central wooden enclosure houses the image of the god, which is noteworthy since Gorakhnath is usually represented only by his footprints. In the corners of the building are four images of Ganesha. Many street vendors chose the spot to setup their dingy shops due to the constant inflow of visitors. It served as one of the popular tourist landmarks at Hanumandhoka. It was believed to have been constructed in 12th century during the Malla empire. Several myths about the construction of the Kasthamandap Temple have been resolved with the recent archaeological findings. The excavated objects from the destroyed site suggests that it may have been built in around 7th century, during Lichhavi empire. The construction residue left from the excavation proved vital to link the landmark to 7th century period. The premise idolizes the greater lifestyle and culture of Kathmandu. 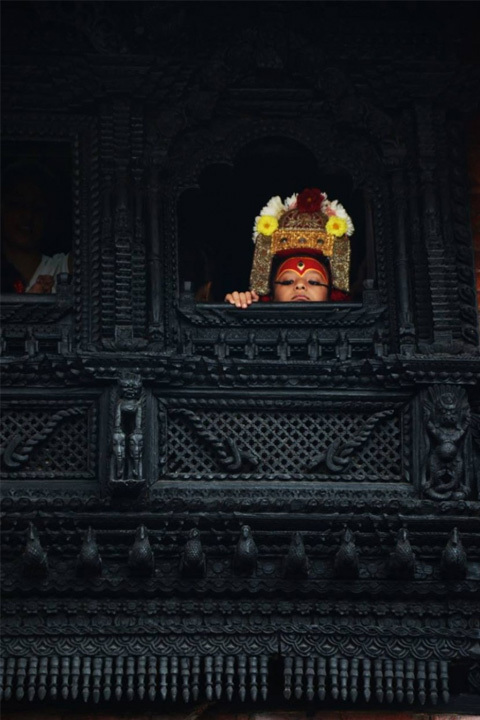 The usage of wood for major construction and the ornate designs, color and decorations has always been indigenous to the greater Kathmandu inhabitants, Newars. The major earthquake of 2015 shook the entire Nepal with its magnanimous force. Most of the old temples and premises were left completely destroyed.The earthquake caused the casualty of over 8,000 souls. Kasthamandap along with the surrounding temple and the historical palace were partially or fully destroyed. The reconstruction of the palace and other premises are well under the operation. The site of Kasthamandap remains empty with only the shrine of Gorakhnath.